While other states may have more traditional seasons, we in Louisiana do not mark the passage of time with the usual spring/summer/fall/winter monikers. Instead, we observe Crawfish Season, Crab Season, Shrimp Season, and Oyster Season. As this year’s crawfish season draws to a close, we have a few helpful tips on how to extend the joy a few months longer. Crawfish season typically spans March to June, and you will doubtless attend multiple crawfish boils during this time (to achieve the perfect crawfish boil, check out RRR IV, p. 211). While I personally aim to ensure no boiled crawfish gets left behind uneaten, even the best of us will occasionally boil more than we can consume in a single afternoon. If refrigerated fairly quickly (within 2 hours of cooking or so), boiled crawfish can last around 3 days. Your best bet, however, is freezing the leftover tail meat. Start by peeling the leftover crawfish tails, de-veining them, and removing the orange “mustard.” The mustard is high in fat and will spoil within two months, even if frozen. After peeling and cleaning, rinse the tail meat with water and lemon juice to prevent discoloration. Place the cleaned tail meat in a vacuum sealed or airtight, heavy-duty freezer bag and label the bag with the date. Your crawfish tails will keep up to six months! When that crawfish craving hits you later in the year, thaw your frozen crawfish tails and use them in a wide variety of recipes. 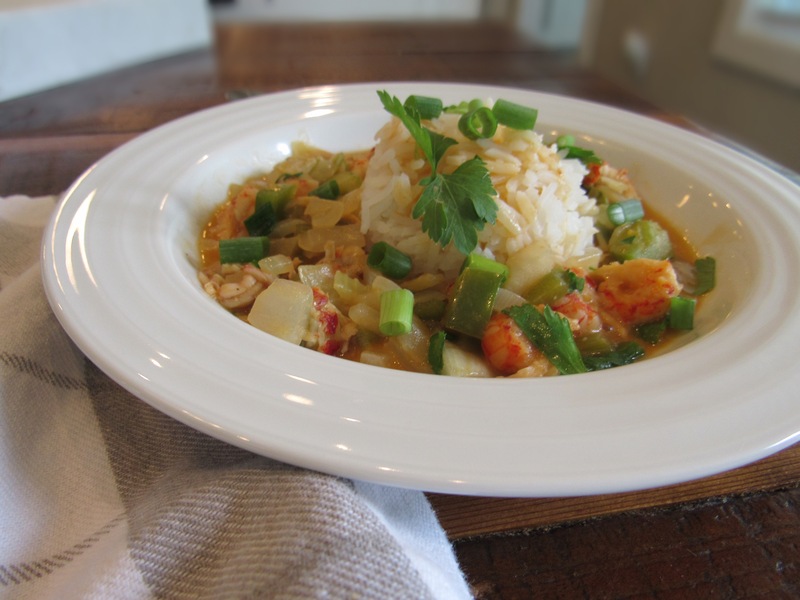 Some of my favorite classics include Crawfish Bisque (see RRR I p. 240) and Crawfish Étouffée (reprinted below, or see RRR II p. 129). If you’re looking for something a little more exotic, check out the Acadian Sushi Rolls in RRR IV, p. 40. Melt the butter in a heavy large skillet. Sauté the vegetables in butter for 30 minutes. Add seasonings to taste and then the crawfish tails and fat. Sauté for a minute and then stir in flour. Continue sautéing for 3 minutes, then add water, chicken bouillon, and optional green onions and parsley. Simmer for 10 to 15 minutes, then serve over rice. Serves 4 to 6. Note: Crawfish Étouffée also freezes well. Freeze it in family size or individual portions and thaw it later for a quick weeknight meal! Come see us at Hollydays 2018: October 18- 21st in the Raising Cane's River Center!